The world would be boring if we all agreed on everything all the time. People disagree with each other in every field of endeavour, and history and archaeology are no different. However, sometimes you come across a story and it’s obvious that something just isn’t right. It can be that somebody has twisted the facts, that they’ve made a leap not supported by the evidence, or that somebody is seeing what they want to see as opposed to what’s really there. The last two definitely apply to this story, to which I came across a link to an article on Facebook earlier: King David’s palace found, Israeli team says. Now, that’s not to say that they haven’t found a significant historical site. 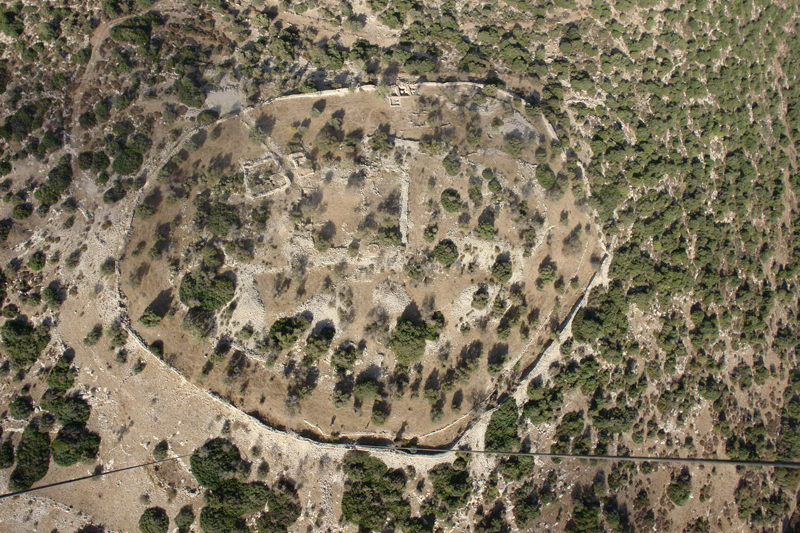 In this case it’s Khirbet Qeiyafa, a fortified area near Jerusalem that has been under excavation and study for years. According to Wikipedia (I know, I know, not quite authoritative) it is known by local Bedouin’s as Khirbet Daoud, or David’s ruin. However, that doesn’t necessarily mean it’s actually David’s. Any number of sites across the world have become associated with historical and even mythical figures; there’s one in a forest near where I grew up called the Giant’s Grave, but that doesn’t mean there’s an actual giant buried in it. The authority of the finders isn’t in question; they are professionals from a university and a state culture agency. However, they seem to have seriously jumped the gun on this one. [Yossi Garfinkel, a Hebrew University archaeologist] said his team found cultic objects typically used by Judeans, the subjects of King David, and saw no trace of pig remains. Pork is forbidden under Jewish dietary laws. 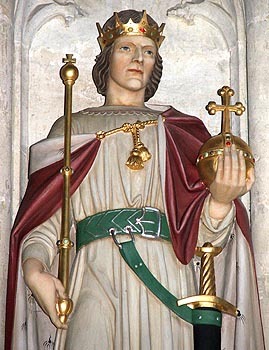 Clues like these, he said, were “unequivocal evidence” that David and his descendants had ruled at the site. Er, no. I’m not an archaeologist and I know that. It is very dangerous to make a sweeping conclusion based on a lack of evidence, as opposed to a supposition based on some evidence. For me, the lack of pig remains simply means that there’s no evidence that pigs were slaughtered on the 3,000-year-old site. One would be entitled to suggest that, taken with typical religious artifacts, this means a Jewish community ruled it or lived there – it does not mean that it was a palace owned by one of the most important figures in Jewish history. As the article by Max Rosenthal notes, other researchers think the site could have been built by the various other ethnic groups that lived and fought over the area at about that time. Granted, I haven’t been involved in the dig and haven’t seen the artifacts or filed reports, but this seems to be a case of over-interpreting data. History is already fraught with enough dangers and missing links – we shouldn’t be out to add a few new ones to it. Ancient treasure or vintage car spring? Would you confuse this piece of gold with the spring from a vintage car? Well, one accidental treasure finder did (pic from The History Blog). The torc, which has now gone on display in the Ulster Museum, Belfast, was found in a bog near Corrard, Co Fermanagh, which as far as I can tell is between Maguiresbridge and the Belle Isle Hotel. Google Maps is fairly blank on the region. Anyway, Ronnie Johnston dug it up there, cleaned it off, and kept it in a cupboard for two years until he saw a picture of a torc in a magazine and thought it looked like the piece of twisted metal he had stashed away. His find is about 3,000 years old. A coroner’s court agree it was treasure, and it was subsequently bought by Northern Ireland’s department of culture. The style links it to other finds in Ireland, the UK, and France, so it may suggest a cultural or trade link with those areas, or even the possibility that the owner came from there. We’ll never know, much as we’ll never know how it ended up in a bog (an offering, I suppose). Many mysteries still surround this gold torc. In its present condition the torc could not be worn as it has been deliberately coiled, appearing rather like a large spring. But the torc was originally designed to form a large circular hoop with two solid connections at either end. These are believed to have acted as interlocking clasps to allow the torc to be fastened and unfastened. For me the main mystery is how somebody would confuse something that is clearly gold and not at all rusted with a piece of metal from a car. Or am I being cruel? A few months ago I was lucky enough to get to the British Museum exhibition on Ice Age art, called “The Arrival of the Modern Mind”. I have to say it was on a par with the larger, much grander and more popular Pompeii exhibit, which was also brilliant. Unfortunately I don’t have any photos of my own; snaps were banned, which is understandable given the delicate nature of the items and commercial rights of various museums. The main theme of the art exhibition was that the styles and techniques of the earliest human artists were strikingly similar to what we would consider modern art. Picasso, known for his abstract depictions of women, was heavily inspired by a neolithic carving of a woman; he kept two casts of it in his studio. The exhibit curators had also sourced recent paintings that had similar brush stroke and compositional techniques to our early ancestors. Seeing such tiny and delicate things in front of me through the glass, I was struck not only by their beauty but their fragility and the amount of effort it took to produce them. Some of these pieces were 40,000 years old. One bone carving of a human with a lion’s head was estimated to have taken over 400 hours to create. When you consider that these people were hunter-gatherers, and so always on the borderline in terms of starvation, that they would commit so much of themselves to producing such art shows that the human creative genius must have always needed an outlet. Whether it was for ritual or decorative purposes, these people had an idea and took whatever time was necessary for that idea to come to fruition. 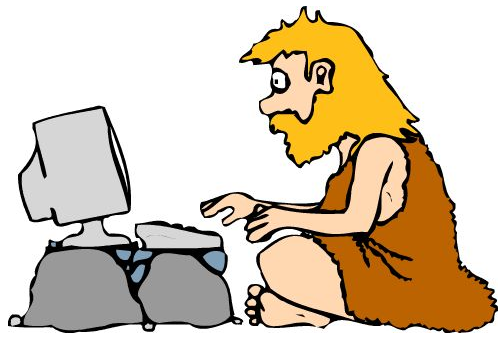 We tend to think of our ancestors as primitive, but they don’t seem to have been too far behind us in many respects. 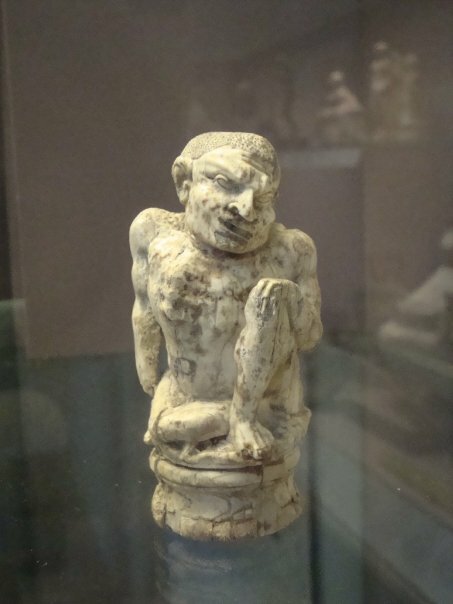 I’ve noted previously how much people of the here and now and antiquity enjoyed having little objets d’arts scattered about, and our ancient ancestors were no different, with tiny little lion-men as well as water birds. When you think about how little has made it to us from so long ago, it makes you wonder what will be left of us in 40,000 years apart from plastic bottles. It’s a fair and fundamental question, yet often elusive. When does something become history? Is by virtue of it simply happening, or does it have to be noteworthy in some way? For example, I had French fries and half a beer after work – is that history? And anyway, how far back do you have to go before something becomes history? The discipline has evolved dramatically throughout the millennia, becoming more rigorous and scientific while striving to remain objective. Herodotus, in his work simply called Histories, is often considered the father of history, but our Greek history lecturer would say he was also considered the father of lies. Much of what Herodotus writes is myth, though there are historical elements and he does attempt to put it in a narrative. Thucydides is much more clinical in his history of the Pelopennesian war, but he is not as colourful. In many ways, the discipline has been caught between those two poles since then – how does one write colourful, engaging history that is still rooted solidly in the facts? It’s possible, certainly, but is an ongoing tension. What needs to be sacrificed, for instance. Eric Hobsbawm was an excellent historian and wrote well, but his history is Marxist and so has a particular viewpoint (and his legacy has been divisive). That doesn’t make it less legitimate, it’s just another layer that needs to be acknowledged and filtered if needs be. All documents should be interrogated and history books are no different. We do it for primary sources – you wouldn’t take a medieval primary source about something like battle casualties at face value, for instance. Primary sources are the bread and butter of history, but shouldn’t be accepted without analysis. 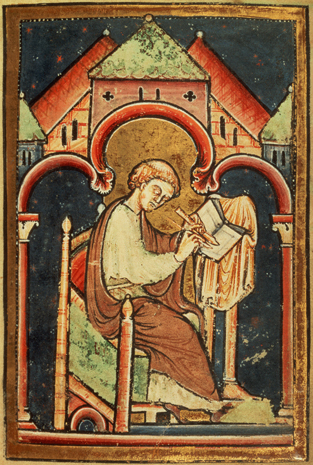 The subject of my thesis, Bede, is a Christian monk. That doesn’t make him less of a historian per se, but his Christianity is so intense that I need to dissect what is fact and what is analysis, and in my case what are the connections between his history and his scriptural commentaries. I need to understand what was going on in his head when he wrote his Ecclesiastical History of the English People, and he didn’t see history as a separate genre from exegesis, because they were all part of his moral reform agenda. Does that mean that the Ecclesiastical History isn’t history? No. It’s just not a modern history book, even if Bede takes great pains to cite his sources. It’s a product of its time, like any history text (albeit a product that sometimes drives me half demented). A surprising number of people forget this when they go to read books from past eras, and sometimes take them at face value or, just as bad, dismiss them out of hand because they are older. This is something my students struggled with. Actually, one of the biggest struggles my students had was distinguishing between fact and opinion. Objective analysis simply isn’t taught in schools, so when they came to me at the start of their university career most of them struggled. Some went on to do quite well, but it took a lot of work for most of them. I sometimes wonder if Bede and his contemporaries had the same issues while teaching (which I’m sorry to say I haven’t done for a while). This is all just a case of retraining the brain to think slightly differently, but that sort of retraining is constant. My brain has issues with considering recent events “history”. Obviously, I’m not saying it isn’t. I studied modern history in school and university. I’ve written about it in book reviews and for articles. It’s enjoyable and informative. I’ve lived through a phenomenal transformation in politics, media, and technology. It’s all great. It’s just that in my head modern events are too recent to be historical. The further back you go, my mind tells me, the more “authentic” it is history. That’s a bit crazy, and yet that’s what feels comfortable. And yet I don’t think I’m alone, because people have laughed at me when I’ve referred to “modern history” – and you can understand why, because people associate “modern” with “here and now” and “history” with, well, stuff that happened ages ago. For instance, the activities of Ancient Egypt, the land of pharaohs and mummys, pyramids and sand, and one of the most enduring cultural legacies. I’ve always loved Egypt and its ancient culture, yet it traditionally falls under archaeology. Does that mean it’s not history? No, it just means we have learned more about the culture from what it left behind than what it wrote. However, the two go hand-in-hand. While history is primarily the study of documents, the material evidence is what brings it to life. This is often most apparent in the field of classical studies, which are as much literary studies as they are cultural or archaeological. It makes you wonder what future archaeologists and historians will think when they unearth McDonald’s signs and review fragmentary texts and images concerning Jersey Shore. However, it is increasingly the case that cross-disciplinary studies can bear some of the most interesting fruits. Some of this is down to a trend among funding agencies that inter-disciplinary research is best, perhaps because it represents advances in more than one field with a single research grant – and God knows there aren’t that many grants any more. However, all researchers should embrace other disciplines if it means advancing their own work, or looking at the same old subject in a new and very different way. Some subjects go together surprisingly well. Liminal Entwinings, for instance, documents research by a geographer on pilgrimages and how they shape people and places. Pilgrimages are traditionally a religious topic, and so by extension normally fall into historical or religious studies, though they also have an enormous social aspect and they in turn have transformed the landscape (Ireland is covered with holy wells and rocks, a legacy of the christianisation of pagan areas as much as it being a traditionally Catholic country). So as we go on, we see that all sorts of things are history, and that history is part of all sorts of things. And while we may have a fondness for a particular era, we can increasingly learn new methods of analysis and thinking from unrelated and modern fields. And that in itself is history. Interesting piece here on Live Science – 3,300-year-old skeletons have been found with copper toe rings. 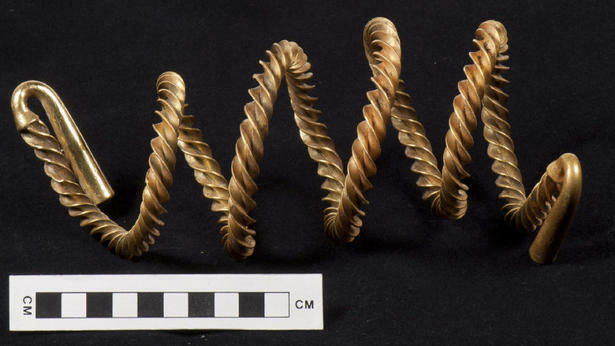 The toe rings were likely worn while the individuals were still alive, and the discovery leaves open the question of whether they were worn for fashion or magical reasons. Supporting the magical interpretation, one of the rings was found on the right toe of a male, age 35-40, whose foot had suffered a fracture along with a broken femur above it. However, the second skeleton found near Amarna, capital of the monotheist pharaoh Akhenaten (I have a fondness for him and his era) had no obvious injury or ailment of the foot, so why he/she was wearing it is unknown. Wearing copper rings for medical reasons continues to this day; I know people with arthritis and rheumatism who wear them on their wrists, though as I’ve been fortunate to avoid such maladies I can’t speak as to their effectiveness. One thing that isn’t considered in the Live Science article, though, is that it’s possible the toe rings were worn then, as now, for fashion reasons. I have neglected this blog terribly. It’s not by design, more that life has got in the way. I’m still researching my PhD on Bede and eschatology, but a full-time job and other responsibilities mean I haven’t blogged at all. I’ve been bitten by the bug again, though, and hope it will make me a more productive writer overall. So it’s fitting that I resume building up my blog with a note about somebody who is literally building history. Bert Geuten has broken ground on a ninth-century monastic settlement in his native Germany. Yes, a ninth-century one. And it won’t be built in double-quick time, either; it’s envisaged as a 40-year project that will only use the tools available in the time. Geuten is dreaming big – not only will it be a village, but if all goes to plan it will have a 2,000-seater cathedral too. In the ninth century the monks would have built a small church first – they didn’t want to wait until the cathedral was ready to be able to pray. So we’re doing the same. The plan is for it to be a tourist attraction, which will allow people to see the site come together and learn about how medieval craftsmen went about their business. One of the things I like is that they will only be serving food that would have been eaten at the time. I hope this works out. There was a similar project in the US, Ozark fortress, has run into serious financial issues and so has not opened, though its supporters continue to seek new funding on the official website. 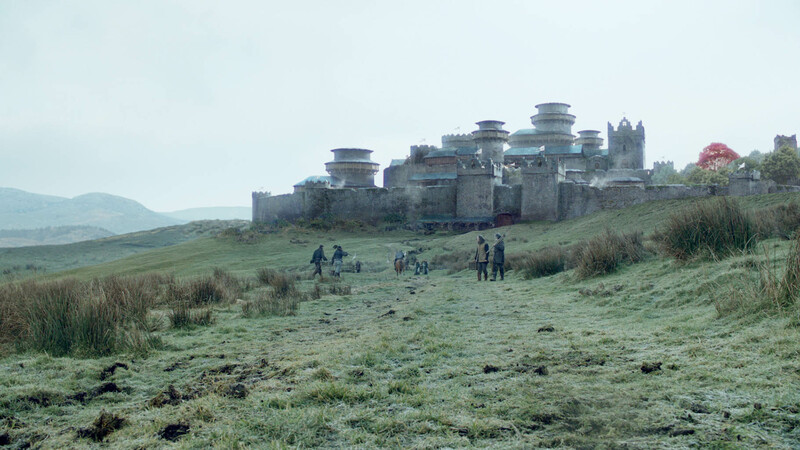 One wonders what sort of finances would be required to build the likes of House Stark’s seat, Winterfell, for real rather than just the CGI below. 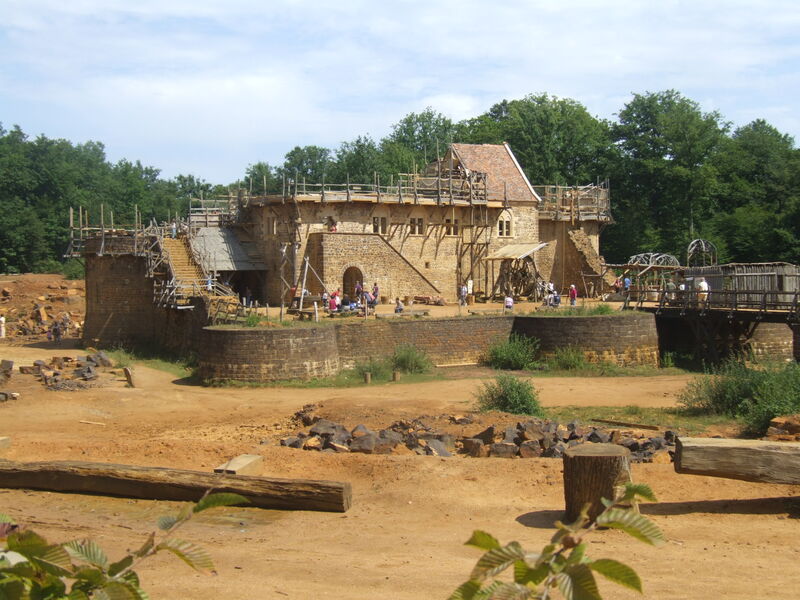 A more successful experiment is that in Guédelon, France, where a 13th-century castle has been under construction for about 15 years. Guédelon, pictured above in 2009, attracts about 300,000 people a year, which is nothing to be sniffed at. I’ve always been fascinated by living history buffs and experimental archaeology. For people in those fields, it’s not enough just to learn about history, they want to experience what it was like for themselves, or at least as close as one can get in the 21st century. The whole idea of building medieval structures also catches my imagination. I’ve been to sites like Carcassonne and Urbino, where the modern mingles with the medieval, and I’ve always been struck not just by the style of architecture but how it has endured and been adapted over the centuries. I’m not sure where my love of architecture comes from. I’ve always liked the combination of form and function. Part of me wonders if it’s a consequence of, or an attempt to foster the memory of, my father’s father, who was an architect but who died before I was born. There’s also the sense of imposing on the landscape, of effectively becoming the landscape once the structure has been there for a particular length of time. There are certainly any number of medieval sites scattered across Ireland, some like Ross Castle in Co Kerry or the Rock of Cashel in Co Tipperary as established tourist attractions, others less so. The blog Time Travel Ireland profiles many of those sites off the beaten track and is well worth having a poke through. I must do more on historical sites and the various books I have about them. History actually is all around us. In some places you have to look a little bit harder than others, but what you might find can be very rewarding.